Yesterday was uneventful. I had a medical checkup in the morning and promptly went back to my room and immediately flooded my body with lots of lovely drugs. I'd been abstaining from my allergy and asthma medication for about a week because we were told just about anything can trigger a false positive on the pee test. So, I was a sneezy, wheezy mess for about a week, and now feel like a rock star. Thank God for modern medicine. On to today. This morning we had a lecture about storytelling in the classroom. Our amazing lecturer was this woman who is essentially a professional storyteller. She's an expert in children's literature and travels all over the world telling Korean folk stories and reading books to children. She read several classic children's books to us out loud, to teach things like expression, pace, and volume control. 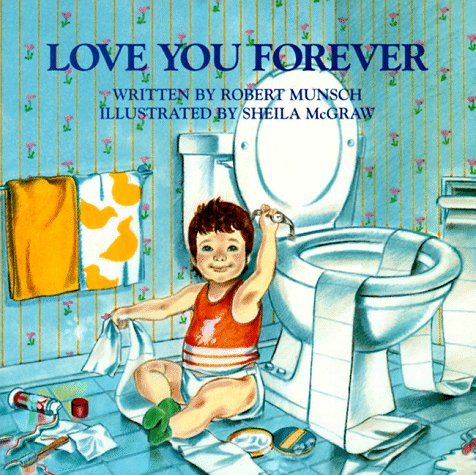 At the very end, she read us Love You Forever, which is a book my mom read to me all the time as a little girl. Boy, that was brutal. Definitely not a good choice to read to a bunch of 20somethings who just moved across the planet from their family. There was hardly a dry eye in the room. Then we had a much less emotionally charged lecture about teaching after school classes and how to get your vacation time. Two more lectures this afternoon, followed by Korean class after dinner. On the bright side, last night was the first time I've slept through the night since I've been here. Progress.